Safestore Self Storage Holloway Road is situated directly on Holloway Road (A1) between the famous Highgate Cemetery and Emirates Stadium home of the Arsenal Football Club. Buses 17, 43, 263 and 271 stop outside and both Holloway and Finsbury Park Underground stations are a short walk away. We are also conveniently located for those in Highbury, Highgate or Kentish Town looking for self storage. Developing relationships with our local community is at the heart of our business and we’re pleased to be able to offer storage to Cartoon Museum, a London based museum for British cartoons, caricatures, comic strips and animation. Whether you need business or household storage or you’re a student needing somewhere for your stuff over the holidays, then get in touch. We offer a range of room sizes from lockers to large units. We have a range of storage solutions at Holloway Road Safestore, whether you are moving house or just need some space to store your things. Use our storage size tool to help you decide what you need. Get 50% off storage for up to 8 weeks at Safestore Holloway Road with no minimum stay. Offer available at all UK Safestore centres. Get a storage quote at Safestore Holloway Road today and reserve a unit for free. When you move in we won't need a security deposit either. Get 20% off at Safestore Holloway Road if you agree a stay for longer than 12 months. Terms apply. 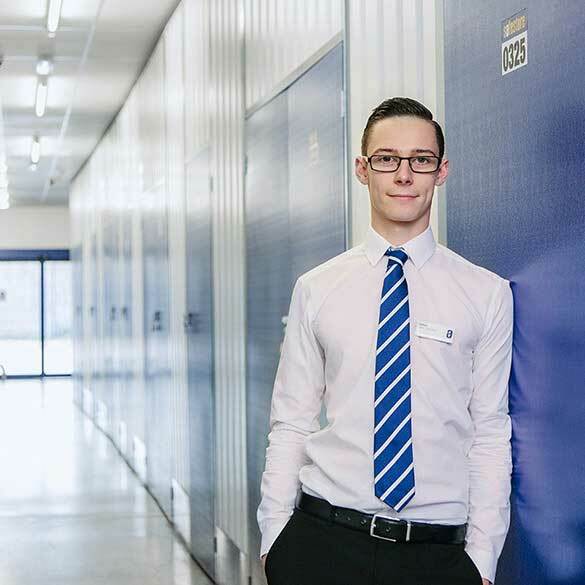 Louis started as a Sales Assistant in November 2011 at our Pentonville Road branch after a solid first year he won Region 6 Sales Assistant of the year 2012. He was promoted in March 2013 to Assistant Manager at Pentonville Road. Louis stayed at Pentonville Road for the next 3 years building up his knowledge of the business and our customers. In January 2016 he was promoted to Store Manager at Holloway Road. He prides himself in always doing a cracking job so if you need storage feel free to pop in or pick up the phone, he'd be happy to help. Our professional and highly experienced man and van company provides removal services for all sorts of moves from flats and houses, through to larger mansions, offices, large scale office moves and even supermarkets. We are experienced in transporting highly valuable works of art; paintings, sculptures as well as valuable pieces of furniture. Our clients are important to us and we always work towards finding the best price and removal service specific to a client’s needs. We have an excellent track record and we have a range of vehicles that we use for our removals services. Give us a call today to find out how we can help you with your move. We pride ourselves on being the best when it comes to helping you to store your personal belongings. That’s why we’re committed to bringing you household self storage solutions taillored for your needs. So whether you’re moving house or you need somewhere to store your sports equipment, the only place to store it is with us.